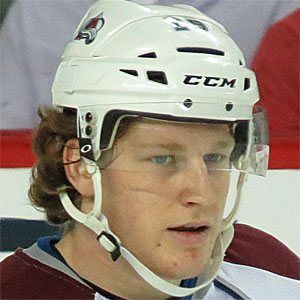 Center and alternate captain who joined the Colorado Avalanche in 2013; he received the Calder Trophy as the NHL's top rookie following the 2013-14 season. He played for Shattuck St. Mary's under-16 team. He was the first overall pick of the Colorado Avalanche in the 2013 NHL Draft. He became the youngest player ever to dress for the Avalanche in a regular season game at 18 years old. He was born to Kathy and Graham MacKinnon. He has a sister named Sarah. He beat out Tyler Johnson and Ondrej Palat of the Tampa Bay Lightning to win the Calder Trophy.